I hope not doing any illegal stuff here nor trying to prove anything wrong or jeopardy a business entity. It just my personal choice and personal opinion. Actually, I am just following the norm. The norm is that temporarily stop consuming a certain brand and encourage to consume another brand. I love both this drinks. I have been drinking MILO since at a very young age. 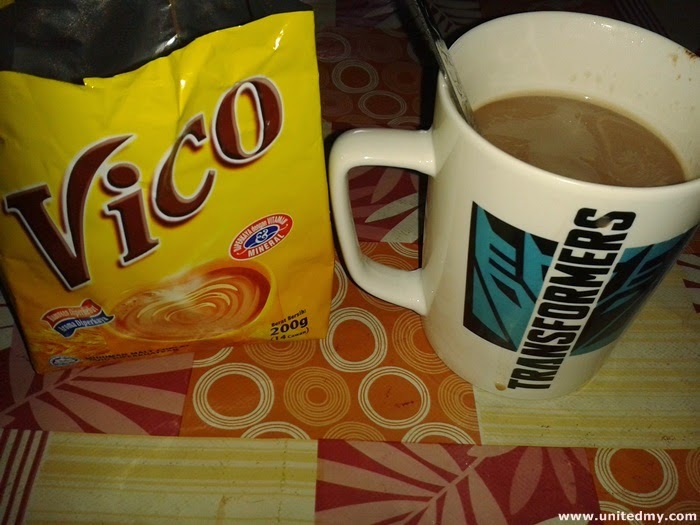 In other hands, Vico is the second chocolate beverage brand that I know. If someone asks me about "example of Chocolate beverage brands in Malaysia". I would not hesitate to say Milo first following a Vico. Vico is like 10% and Milo is 90% in a blind guess for my entire life consumption on this both chocolate beverage. Milo virtually existed in nationwide and freely available. There are milo in can, milo in a stick pack, milo in a moving transport. I believe there were no Vico sold in a can right. If you have been reading the news, you would notice there are some people actually doing this stuff as "boycott" . They will say yes to Vico and no to Milo. The sentiment does exist you just need to go to a correct group of people. Well, Vico is made in Malaysia and under a company Maestro Swiss Food Sdn Bhd. If you must insist to know it halal as well as Nestle's Milo. In an analysis on Vico and Milo's nutritional information. Vico apparently has Vitamin A, B1, B2, B6, B12, Vitamin C, Vitamin E, Calcium, Magnesium and Iron. 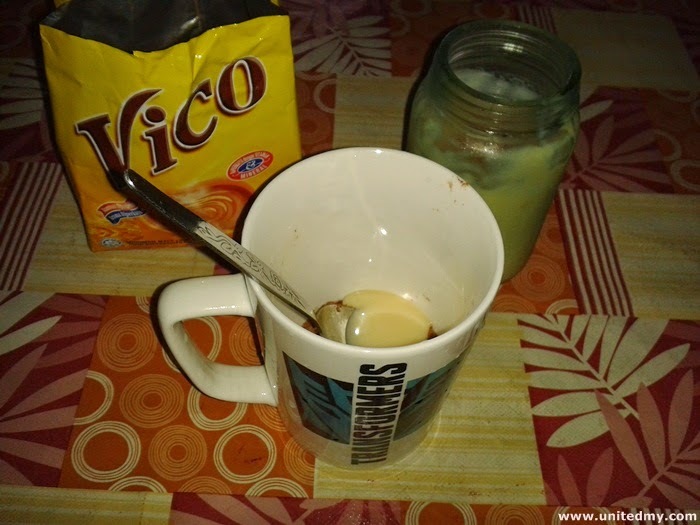 As for Milo, there got almost the same except Milo does not have Vitamin E.
Making Vico mix with some condensed mik. Vico in 200g cost around RM4.20 only. The vico color is about the same as Milo. The only obvious difference between Milo and Vico is that Vico has an unique chocolate taste. Both of them are great chocolate beverages brand. Vico definitely has sales surge during that period of time. Vico is amazing. But wut about that halal stuff u,ve mentioned. 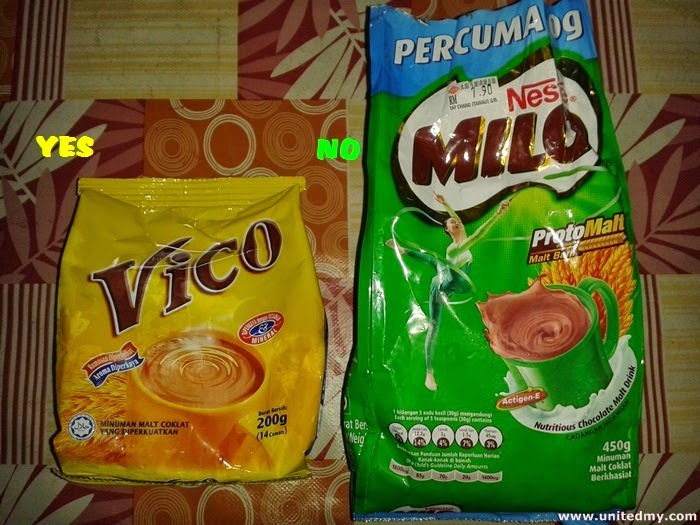 As if milo is halal n vico is not likely to be so.! !